Google announced a chip and edge software that could transform the enterprise IoT landscape and put it on better footing against competitors Amazon and Microsoft. Google is taking two steps – one in hardware and one in software – to bring its analytics and machine learning capabilities to edge networks and even to individual internet-of-things devices to better deal with the data generated by a growing number of IoT devices, the company said at its Cloud Next technology conference. The first step is Google extending the features of its Cloud IoT software platform to edge networking. The second is a tiny chip that could be integrated in IoT devices themselves and process the data they collect before transmitting it. Edge computing – which describes an architecture where a specialized computer sits very near to the IoT endpoints themselves to perform analysis and data processing from those endpoints, as opposed to sending that information all the way back to the data center – is very much the up-and-coming model for IoT deployment, particularly in use cases that have strict requirements around latency. However, Christian Renaud, IoT research director for 451 Research, said that the technical advantages of edge computing are secondary to a much more human factor – managers of the operational technology implementations (factory floors, fleets of vehicles, etc.) that stand to benefit from IoT tech simply aren’t comfortable moving important management and analytics functionality to a cloud, even a private one. Google bringing its IoT software stack to edge devices, therefore, removes a potentially serious barrier to entry and makes the company a more attractive option for enterprise IoT management. It also brings Google’s offering more into line with its competitors in Microsoft and Amazon, who have already brought their IoT platforms to the edge. Google’s standing among its competitors might be helped by the chip it announced at Cloud Next called Edge TPU that accelerates machine learning via the company’s TensorFlow AI software. “Depending on the effectiveness of Edge TPU, this may have not only caught them up, but allowed them to pull ahead of the competition technically,” said Renaud. 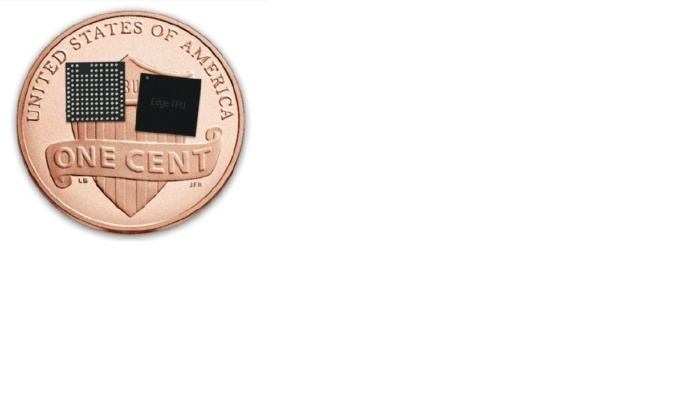 Edge TPU a custom chip just a fraction of the size of a penny that’s designed specifically to run Google’s TensorFlow Lite machine-learning models on endpoint devices. The idea is to use IoT devices themselves to generate meaningful predictions and insight. Google says on its Web site that the chip could be used to enable predictive maintenance, anomaly detection, machine vision, robotics and voice recognition, among other things. Developers who want to get their hands on one early can apply to Google here. It remains to be seen whether Edge TPU will see large-scale uptake and whether it works as well as Google says it does.